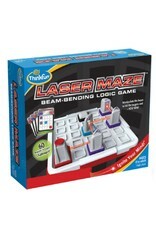 Laser Maze Beam-Bending Logic Game by ThinkFun is the first single-player logic game to feature a real laser. 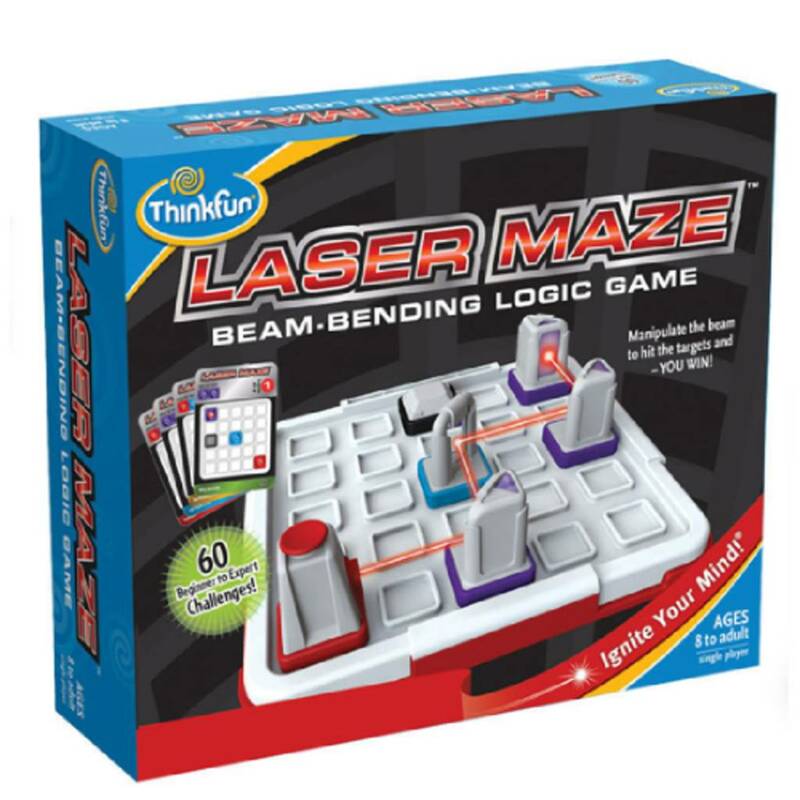 Players use mirrors, beam-splitters, science and brainpower to direct the laser through a series of mind-challenging mazes and light up the target. 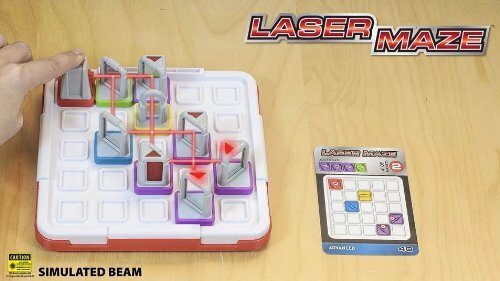 It's a great mental workout for both kids and adults! 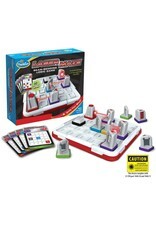 Select a challenge card and set up the game grid to match it. 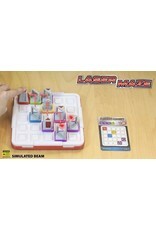 Determine where to add the indicated tokens to the grid. 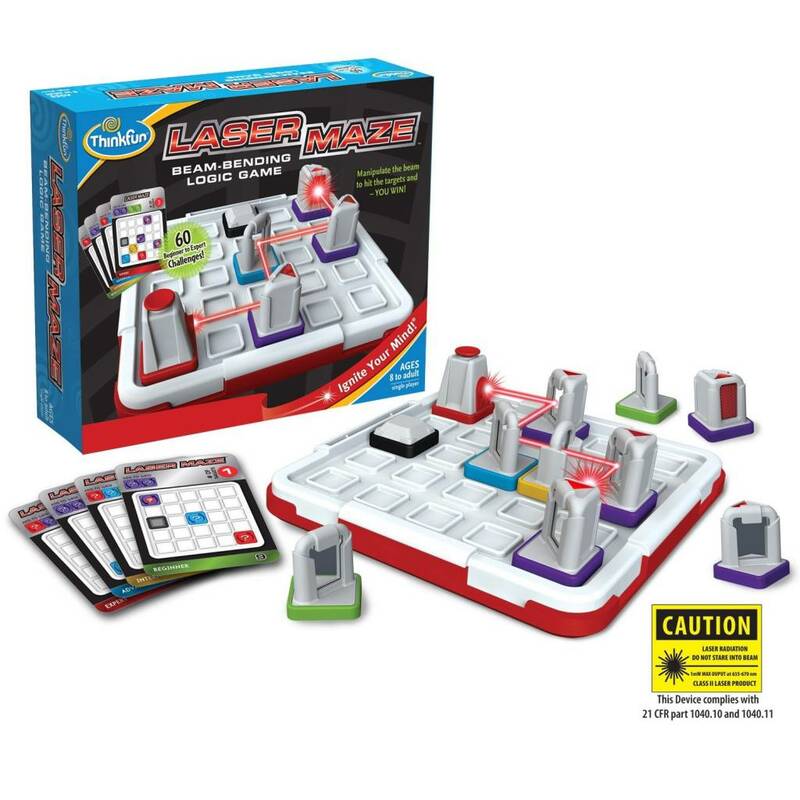 Position the tokens so that the laser hits the target and you win!